The mobile world is waiting for the next new batch of Nexus hardware to be launched officially with early indications suggesting we would have already seen a launch by now, but it seems as if a Nexus 5 release is imminent after a new press render appears. It has been widely expected that Google and LG would have unveiled the new Nexus 5 by now but it’s not as if the handset hasn’t been seen in numerous sightings and leaks, and the image that you can see on this page comes courtesy of highly reliable tipster’s evleaks. The press render fits in with previous sightings of the device with a release that must be around the corner now. 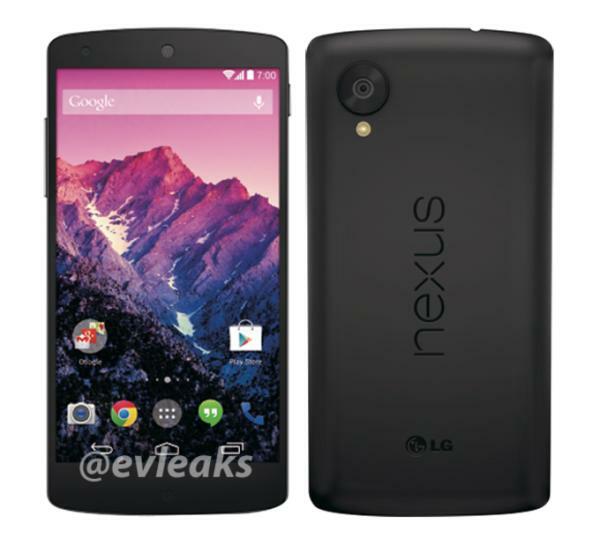 We have recently seen evidence of what could be a 4G LTE version of the last year’s Nexus 4 as a device fitting its description recently received certification at Bluetooth SIG. With regards to the Nexus 5 we have seen the smartphone making a brief appearance on Google Play before being taken down, but not in time for it to spread across the Internet. There have also been various listing for cases for the device that started back in September on Amazon with an offering from SPIGEN, and more recently we saw a different company also putting a case onto the retailers website. It is also expected that we will see the Android 4.4 KitKat operating system that is reportedly going to have more of a focus towards the smart TV market, but we should see something official soon from the company. Are you waiting for the Nexus 5?